I've loved this series since I first read Rebel of the Sands but I have to confess I put of reading Hero at the Fall for quite a long time. Partly I was worried it might not live up to expectations but equally I just didn't want the story to end, I still don't feel quite ready to say goodbye to this world or these characters even though I was extremely happy with how the journey ended for most of them. 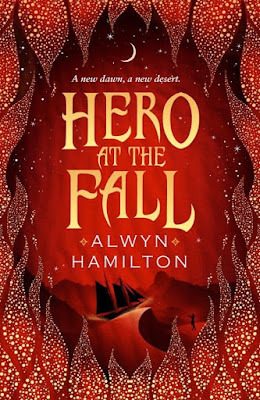 I'm going to have to give you a little bit of a warning in case you've not picked up this book yet, if you've read the previous books you'll already know that Alwyn Hamilton isn't afraid to break her reader's hearts and she stays true to that here so prepare yourself. This is a war against incredibly powerful enemies though so as much as certain things broke my heart, it was more realistic. Plus the fact that knowing your favourites might not survive to the end of the book just really amps up the tension throughout the whole story. I'm not going to say too much about the plot of this book, if you've already read the first two books then you'll have a rough idea what to expect from this world and if you've not started this series yet then go and read my review of Rebel of the Sands instead. This was an action packed joyride of a story, one that just kept throwing new challenges at all of the fabulous characters we've come to love. Amani faces some impossible decisions and some of the things she has to do to keep her promises are horrific but she faces everything with the same bravery she's shown from the beginning. 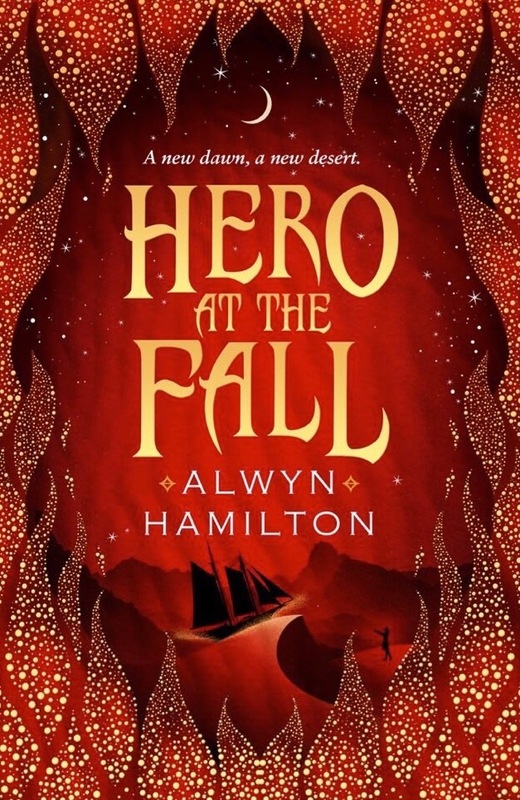 This was a fitting end to the series and I'm definitely going to be watching out for whatever Alwyn Hamilton writes next! I loved this book as well! It felt perfect for the characters! Great review!